The galaxy just got bigger: Calling all future space explorers to Family Space Day! ATTENTION FUTURE SPACE EXPLORERS: NASA has just discovered 715 new planets for you to study and learn. But let’s back up a second. Launched in 2009, the Kepler space observatory has been scanning the heavens for earth-like exoplanets — planets existing outside our solar system. The observatory has been able to detect strong possibilities of planets, but they needed confirmation. Mountains of data have been sent to scientists on the ground to confirm the existence of these exoplanets. While this process has been grueling and slow going, it resulted in several hundred confirmations. However, yesterday NASA announced the discovery of 715 new planets orbiting 305 stars — boosting the number of verified exoplanets by 70%. Kepler has collected this data by detecting the transit of planets across their stars. When planets transit (i.e., cross in front of) a star, the star’s brightness appears to dim by a small amount. The amount of dimming depends on the size of the star and object revolving around it. This process can give false-positives, however, which has necessitated that the data be confirmed by scientists on the ground. The way scientists were sifting through the data has changed. You see, it’s much easier to confirm the existence of planets when they are part of a multi-planet system. Readings that indicate multi-planet systems exist are difficult to explain as anything other than a multi-planet system — as opposed to single planet systems that could be explained by other phenomena. 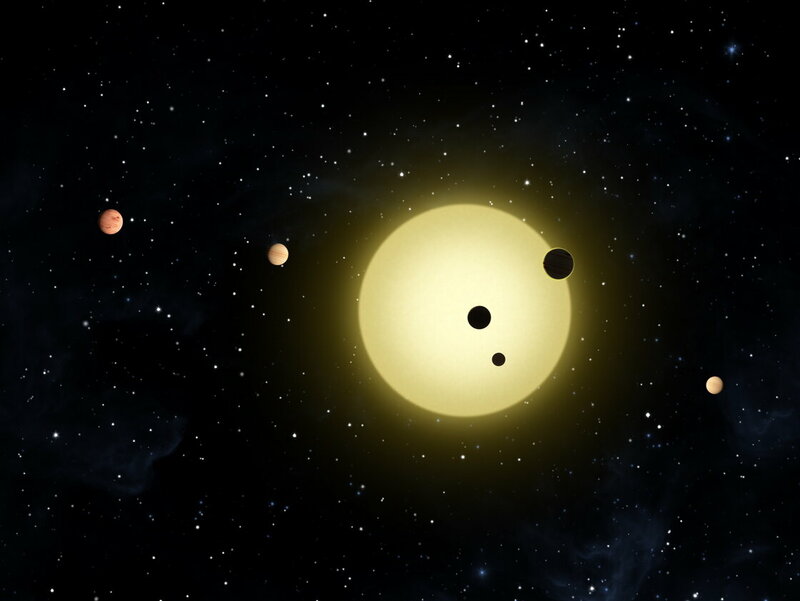 Therefore, by focusing on the data from what appeared to be multi-planet systems, scientists have been able to sift through and confirm the data at a much more rapid pace. So if you’ve got a future space explorer in your family, there’s never been a better time to get excited about space adventures — just in time for our Family Space Day at the George Observatory this Saturday. Experience what it’s really like to be an astronaut-in-training with a simulated mission. Volunteers from NASA will guide you and your family on your mission — ensuring safe travels — as you transform into astronauts, scientists and engineers flying through space. A perfect activity for the whole family, the flight simulation is open to adults and children 7 years and older (children ages 7 to 9 must be accompanied by a chaperone), and a minimum of 10 participants per mission is required. Don’t miss this chance to participate in real astronaut training at the George Observatory! Click here or call (281) 242-3055 for details. Previous Post Look, ma, no roots! Learn to grow your own orchids, bromeliads & other "air plants"